Want to enjoy another year of nature unlimited? 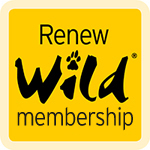 Renew your membership online and continue visiting our wild places without interruption. Your annual Wild Card membership will be loaded electronically on your existing card. Please note that you will keep the same physical card from year to year; your annual renewal is loaded electronically. Renew now to have your membership instantly updated − simply click on the button. You will be redirected to the SANParks website to login to your membership and make payment. Please have your Wild Card number or ID/passport number handy. Need to make changes to your membership? You can add or change a secondary member on a Couple or Family membership at the time of annual renewal only, but you can update your details or postal address at any time. Simply go to www.sanparks.org and click on Wild Card, then select Login. Do you have a question? Take a look at our Frequently Asked Questions.